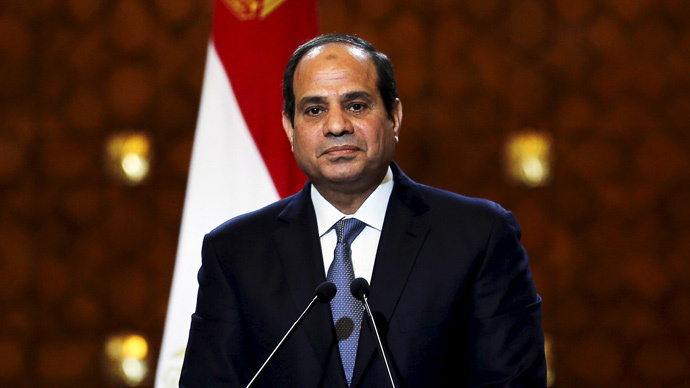 Egypt’s president Abdel Fattah al-Sisi appointed, on Saturday, a new armed forces chief of staff. The Ministry of Interior as well dismissed the head of National Security, along with multiple other high-ranking officials. The reshuffle is believed to have taken place in response to an attack by militants last week in Al-Wahat Al-Baharia area in the Western Desert. The clashes with the militants left at least 16 policemen dead, including 11 officers and four conscripts, according to a statement released by the Ministry of Interior. However, prominent news agencies, including Reuters and the BBC, reported that the number of casualties amounted to at least 52, a narrative denied by the Interior Ministry which accused foreign media of “intentional manipulation”. The new chief of staff for the armed forces is General Mohamed Farid Hegazy, replacing General Mahmoud Hegazy. The latter has now become the president’s new adviser for strategic planning and crisis management. The reshuffle that occurred in the Ministry of Interior was announced in a clipped statement by the ministry, providing no reasons for it. Nearly a week following the attack of Al-Wahat Al-Baharia, Egypt’s Ministry of Interior announced that 13 militants were killed during a shootout in Asyut, along Al-Wadi Al-Gadid-Wahat Road. Egyptian authorities have been dealing with insurgency in the Western Desert since the downfall of former Libyan president Muammar Gaddafi in 2011, due to the smuggling of arms and militants from Libya. Militants have found a safe haven in this area and use it to enter Egypt, resulting in several clashes with security forces.